On August 13, 1961, East German soldiers begin laying down bricks and barbed wire as a blockade between Soviet-controlled East Berlin and the democratic western side of the city. After Germany was defeated in World War II, it was divided between Soviet, American, British, and French zones of occupation. The city of Berlin was also spilt and the Soviets took the eastern part of the city. Walter Ulbricht, the Communist leader of East Germany, received orders from Soviet Premier Nikita Khrushchev to begin blocking access between East and West Berlin. The wire was soon replaced by a six-foot-high, 96-mile-long wall of concrete blocks, complete with guard towers, machine gun posts and searchlights. 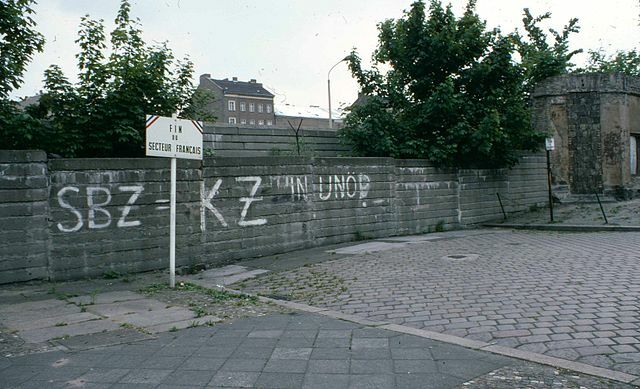 East German officers patrolled the Berlin Wall day and night. The Wall’s height was raised to 10 feet in 1970 to impede escape attempts. These attempts happened almost daily from people trying to return to their friends and family on the other side of the wall. 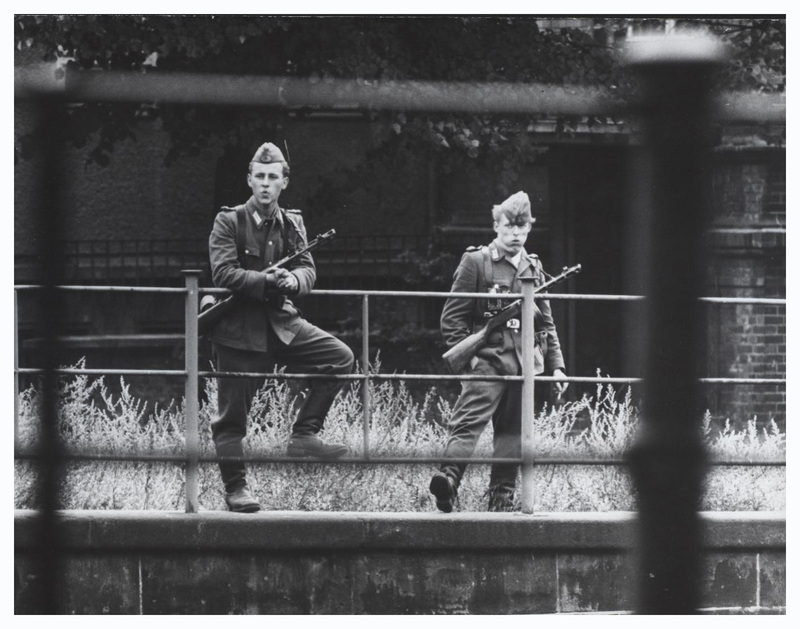 From 1961 to 1989, a total of 5,000 East Germans escaped, but many more tried and failed. In the late 1980s, East Germany, fueled by the decline of the Soviet Union, began to put in place many liberal reforms. On November 9, 1989, people from East and West Germany gathered at the Berlin Wall to work on bringing the blockade down. East and West Germany became one nation again, signing a formal treaty of unification on October 3, 1990. A piece of the Berlin Wall, located in the Museum of World Treasures. After 54 years, the Berlin Wall is still an iconic piece of history and a symbol of the Cold War. Located in the Museum of World Treasures is a piece from the Berlin Wall. It weighs 4.5 tons and stands twelve feet tall. This piece was generously loaned to the Museum from the American Overseas Schools Historical Society (AOSHS), whose archives are in Wichita. The Wall was given to AOSHS by the Berlin American High School Alumni Association. We are not sure where the Wall stood while it was still a part of the original wall. Visit AOSHS in the Delano District on Douglas Ave. for more information. The Wall is on display on the first floor every day, across from Ivan the T-rex. Visit the Museum today for your chance to see this piece of history, as well as hundreds of other items.